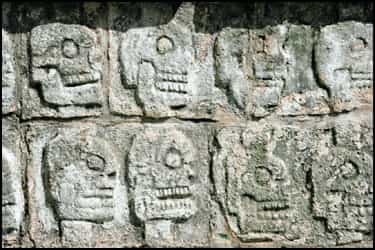 The bodies of buildings are buried here," our guide Jaime said, pointing to the partly excavated pyramids at the foot of the great Kukulcán pyramid. One of the seven wonders of the modern world, the limestone structure looms at the centre of the vast public ground in Chichén Itzá, the ancient Mayan city in the heartland of Mexico’s Yucatan peninsula. The steps leading up to the two-storey temple are carved with geometrical precision, but the fearsome sculptures of the god Kukulcán infuse the pyramid with energy and life. 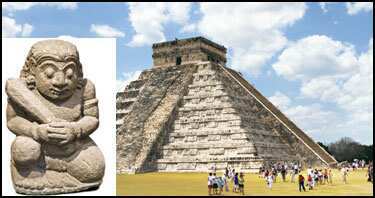 For around 3,000 years, the Maya spread over Guatemala, the Honduras, Belize and the Yucatan peninsula. It was only with the Spanish conquest in the 16th century that the Yucatan empire collapsed and the cities were abandoned. The name Chichén Itzá (literally, “at the mouth of the Itzá well") comes from the Itzá tribe of Mayans who settled here and the natural wells, or cenotes, which supplied its water and formed the religious and cultural centre of Mayan life. “Not much has changed since the Mayan time," Jaime told us with a wry smile. “Even then, the most powerful people were the priests, merchants, warriors, wizards and politicians—same as today." The elite lived in the innermost circle, closest to the public buildings in the town centre. The powerless and the poor were consigned to the farthest reaches of Chichén Itzá—the first to die in an attack. “Sometimes," Jaime said, “someone from the losing team was"—and then he drew his finger across his throat in a telling gesture. Fountains of blood arcing from a severed neck are carved in the walls, and where they landed, a new tree flourished in stone. Blood offerings apparently ensure fertility of the earth (references to human sacrifice were everywhere, from the wall of skulls—carved, thankfully, not fossilized—to the various sacrificial sites to the statuary with crevices perfectly sized to hold a human heart).